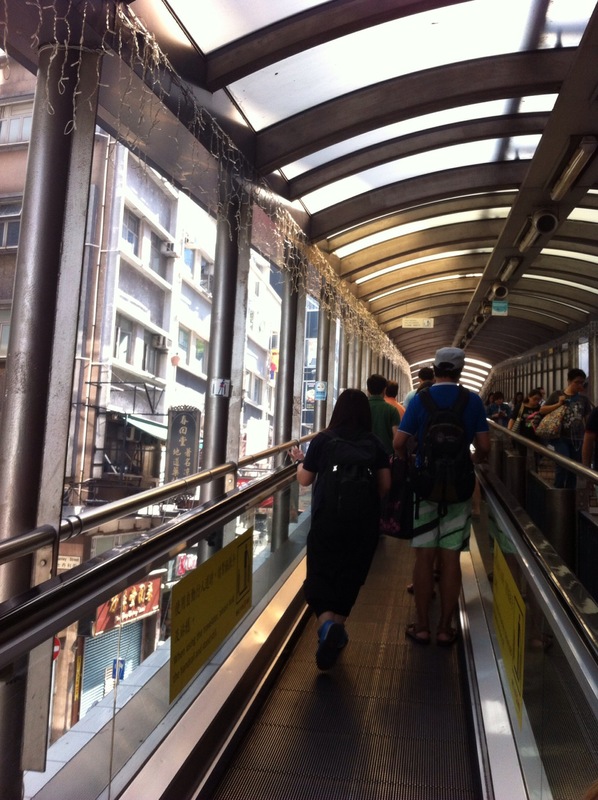 Through the crowds of Hong Kong pedestrians, we wove our way to the metro station taking us across town to the western districts. 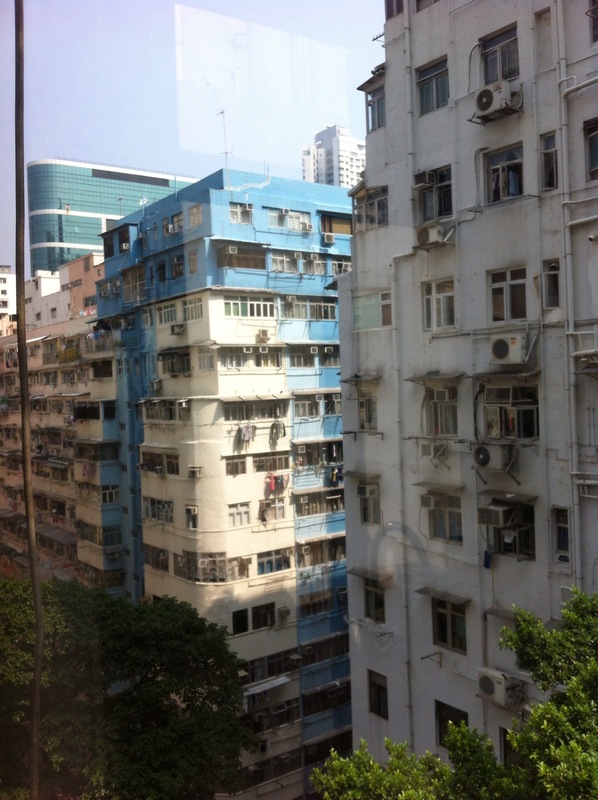 Leaving the Sheung Wan MTR, we walked along Connaught road to the tram stop. The two story tram took us the last few blocks to Kennedy town where we began our walk through the herbal medicine traders and dried seafood shops. The buckets of dried sea cucumbers and sea horses gave off a strange fishy smell. We stopped for lunch at the Western Market, admiring the stacks of cloth, ready for suit and dress making. Continuing on, we wandered through the antique shops on Hollywood Road before peeking in the historic Man Mo temple. The next day, we walked a few blocks from our apartment, climbed the stairs of an office building, and found a restaurant for traditional Dim Sum. The menu was all in Chinese, and there were no pictures to help us point out dishes, so we checked a few boxes, took suggestions from the diners sitting nearby, and crossed our fingers. The selections were tasty and mostly recognizable. Boy even found a few he liked. The BBQ pork was a big hit. We also decided to check out the worlds longest escalator. The Central-Mid-Levels Escalator and Walkway System takes pedestrians 800 meters uphill, from the harbor up to the residential areas, halfway up the peak. It takes about 20 minutes to get to the top, and we were glad the walk back was all downhill, as it was quite a steep ride up. Throughout our travels, we have tried to involve Boy. At each of our stops, we have encouraged him to choose one or two of our activities. While he enjoys many of our outings, he has been very reluctant to choose any of his own. Even those places he has chosen, like aquariums, beaches, and kids play areas, haven’t really gotten him excited. 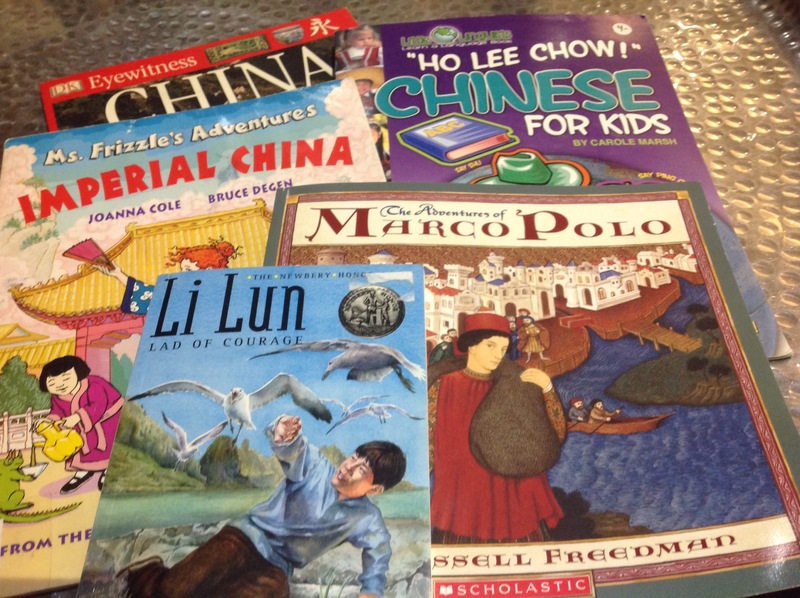 As a rule, we have been letting him choose from colorful brochures and our travel guides when we do our planning. In Hong Kong, we didn’t have to do that. He found one all on his own, and though it wasn’t the stop we would have chosen, all worked out in the end. On the flight from South Africa, there was an onboard movie system. Before each of the movies played, a short commercial ran. 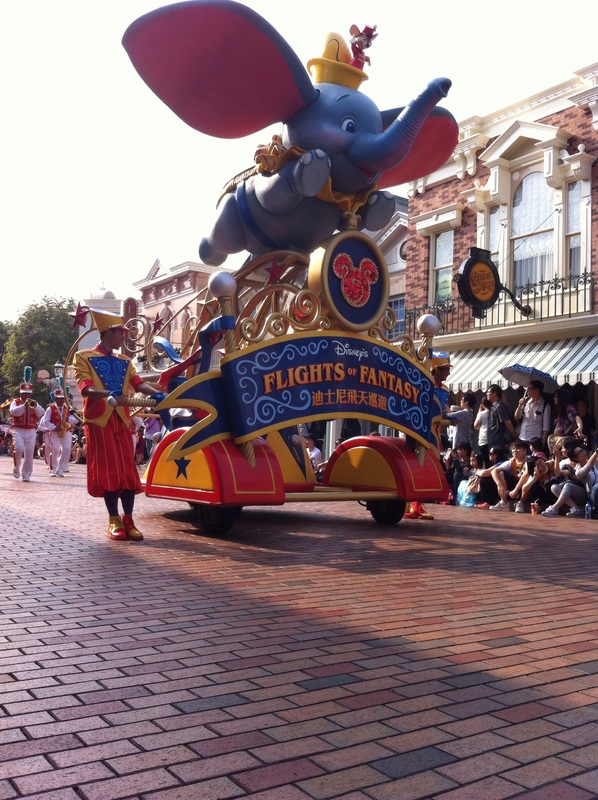 I knew we were in for it when I heard his breathless voice, “Mommy, Mommy, did you know there was a Hong Kong Disneyland? !” My quiet, “oh really?” led to several minutes of awed play by play of the commercial, which he watched several times. We looked into it, and discovered that it was quite reasonable in price for a Disney park, around half the cost of the U.S. and European park tickets. While smaller in size, we found it was also less crowded than the U.S. parks, with wait times for rides rarely stretching more than 15 minutes. The entire park was clean, had lots of room, and no mobs of pedestrians, like we have been facing everywhere else in town. Public transport will take you right to the park. 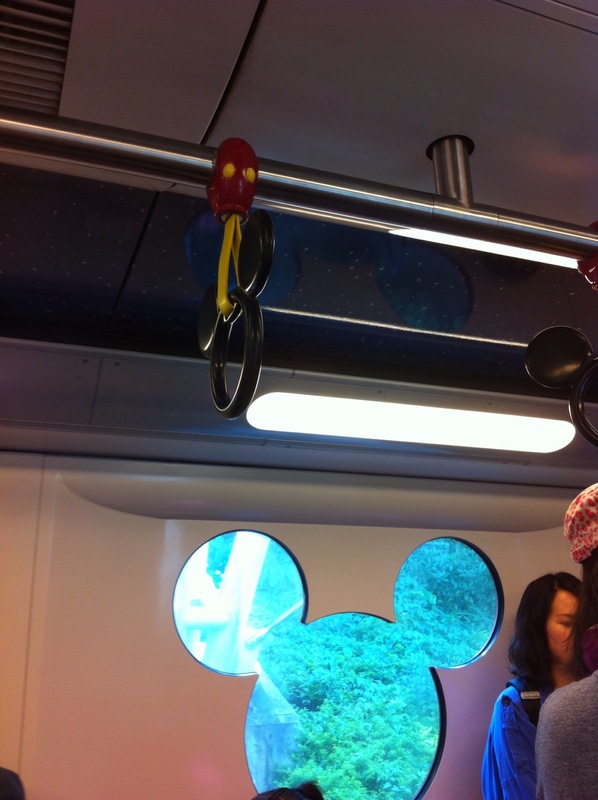 Disney even runs its own mouse themed subway train. The food, mostly Asian, was also moderately priced, so the day was not the budget killer we worried it might be. While we might have been disappointed if this had been the purpose of our Hong Kong trip, as a family day out, it was quite pleasant. 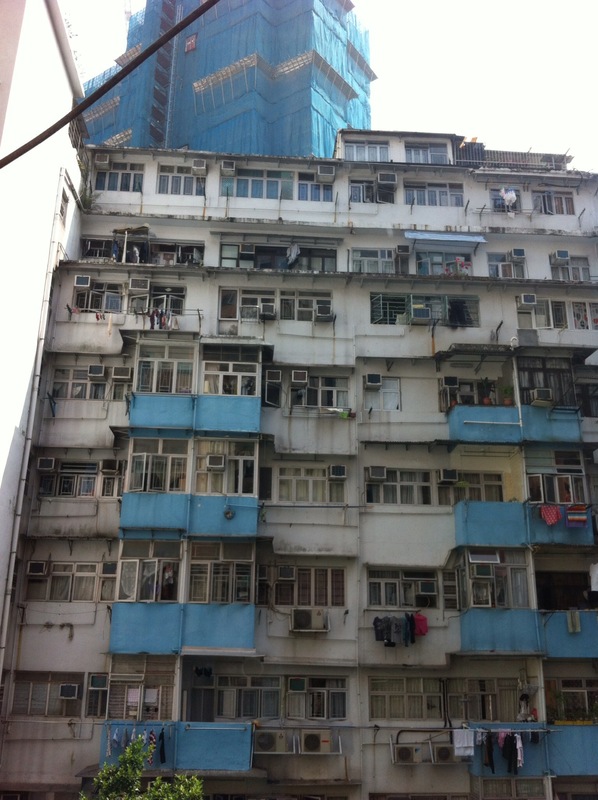 From South Africa, we flew overnight, arriving in Hong Kong just before breakfast. The sun was bright as we saw it rise from the airplane windows, but somewhat dimmed on the ground by the haze of pollution hanging over the harbour. 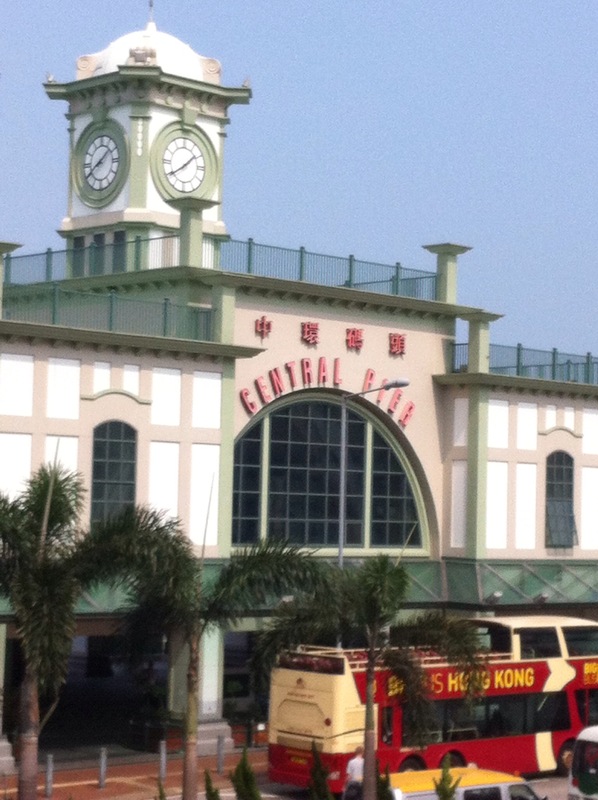 The Airport express train took us right to Hong Kong Central station, where we met our host to pick up our apartment keys. 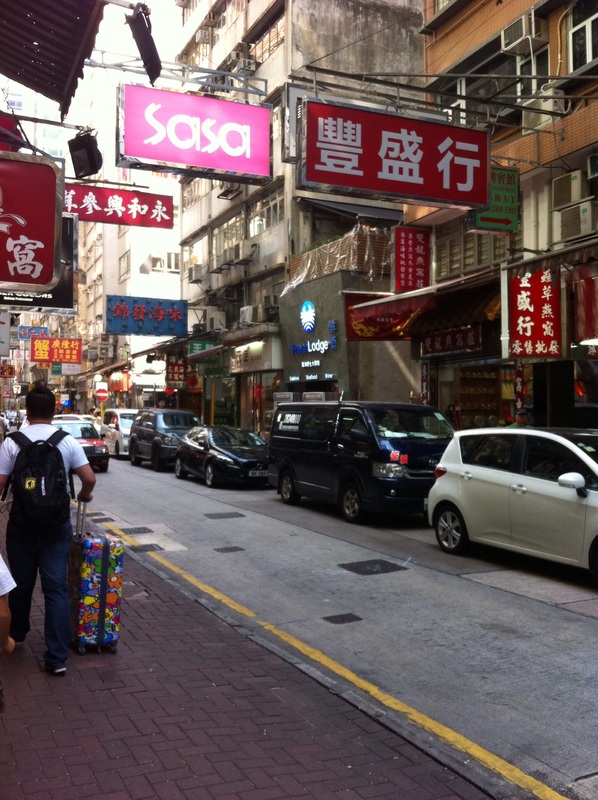 Our apartment for the week is in the North Point area, near a busy shopping street. 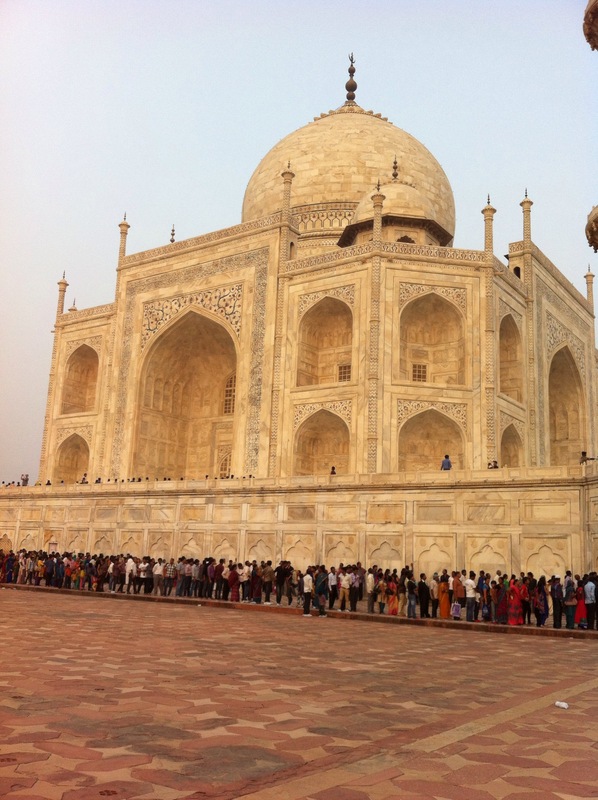 After cleaning up and dropping our luggage, we were off to glimpse the sunshine and beat jet lag. We find pushing ourselves out for an active afternoon, makes the recovery so much faster. Lunch at a dumpling shop gave us the energy to continue. A train took us back to Hong Kong Central, where we walked through an upscale shopping mall and across a pedestrian bridge to the Star Ferry, which has been operating in Hong Kong for over a hundred years. We sailed across to Kowloon and took a walk to the historic Peninsula Hotel, stopping in the lobby for a very British afternoon tea. Crossing the equator from South Africa to China has taken us back from Spring to Autumn, and we were surprised by how early the sun began to set. Before the time we returned to Hong Kong Island on the ferry, the sun was already low in the sky. We made it back to the apartment by dusk, and were pleased we saw the darkness before sleep overtook us.